The Task Force reviewed clinical trials presented at annual scientific meetings of the ACC, AHA, HRS, and European Society of Cardiology as well as peer-reviewed, published data. 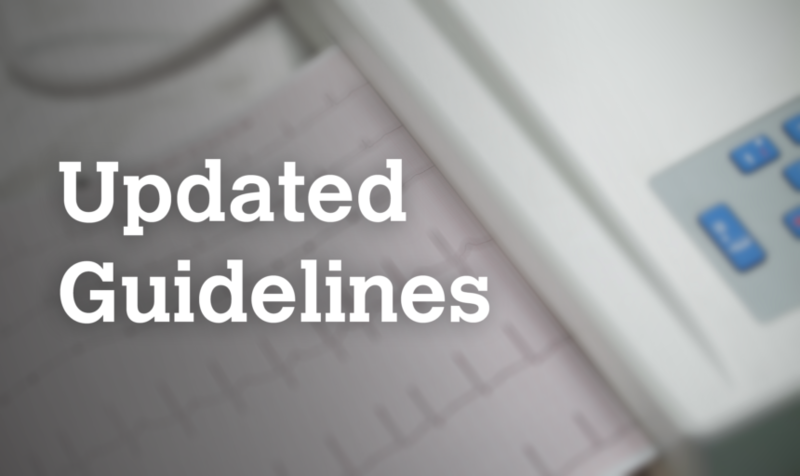 The American Heart Association (AHA), American College of Cardiology (ACC), and Heart Rhythm Society (HRS) have released an update to the 2014 Guideline for the Management of Patients with Atrial Fibrillation, published in Circulation. The update focuses on revisions to the section on anticoagulation, catheter ablation of atrial fibrillation (AF), and the management of AF complicating acute coronary syndrome (ACS). It also includes new sections on device detection of AF and weight loss. 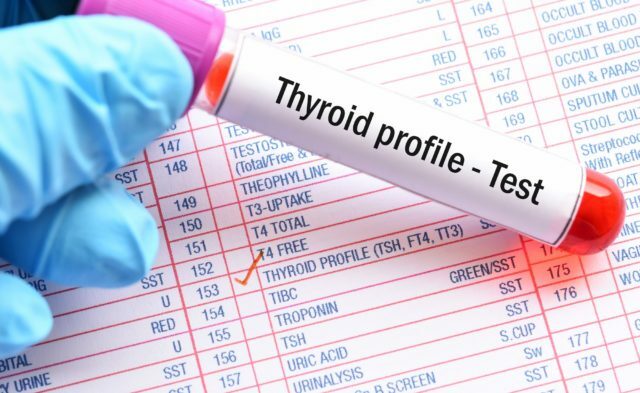 In order to revise the guidelines, the Task Force reviewed clinical trials presented at the annual scientific meetings of the ACC, AHA, HRS, and European Society of Cardiology in addition to other peer-reviewed, published data. Oral anticoagulants are recommended for patients with AF and an elevated CHA2DS2-VASc score of ≥2 for men or ≥3 for women. These include warfarin, dabigatran, rivaroxaban, apixaban, and edoxaban. Non-vitamin K oral anticoagulants (NOACs) are recommended over warfarin for NOAC-eligible patients with AF, except for those with moderate to severe mitral stenosis or a mechanical heart valve. These include dabigatran, rivaroxaban, apixaban, and edoxaban. During initiation of anticoagulant therapy, the international normalized ratio (INR) for patients treated with warfarin should be determined at least weekly. When anticoagulation is stable, the INR should be determined at least monthly. The CHA2DS2-VASc score should be used for assessment of stroke risk among patients with AF, excluding those with moderate to severe mitral stenosis or a mechanical heart valve. Warfarin is recommended for patients with AF who have a mechanical heart valve. Clinicians should base their selection of anticoagulant therapy on the risk for thromboembolism, regardless of whether the AF pattern is paroxysmal, persistent, or permanent. Clinicians should evaluate renal and hepatic function before initiating a NOAC and should reevaluate at least annually. Anticoagulant therapy should be individualized for each patient with AF on the basis of shared decision-making after discussing the absolute and relative risks for stroke and bleeding in addition to patient values and preferences. Anticoagulant therapy is recommended for patients with atrial flutter according to the same risk profile used for AF. Clinicians should reevaluate the need for and choice of anticoagulant therapy at periodic intervals in order to reassess stroke and bleeding risks. Use of a NOAC is recommended for patients with AF who are unable to maintain a therapeutic INR level with warfarin, except for those with moderate to severe mitral stenosis or a mechanical heart valve. Omitting anticoagulant therapy is acceptable for patients with AF and a CHA2DS2-VASc score of 0 for men or 1 for women, except for those with moderate to severe mitral stenosis or a mechanical heart valve. It may be reasonable to prescribe warfarin (INR 2.0 to 3.0) or apixaban for oral anticoagulation in patients with AF who have a CHA2DS2-VASc score of ≥2 in men or ≥3 in women and who have end-stage chronic kidney disease (CKD; creatinine clearance [CrCl] <15 mL/min) or are on dialysis. Clinicians may consider treatment with reduced doses of direct thrombin or factor Xa inhibitors for patients with AF (except those with moderate to severe mitral stenosis or a mechanical heart valve) and moderate to severe CKD (serum creatinine ≥1.5 mg/dL [apixaban], CrCl 15 to 30 mL/min [dabigatran], CrCl <50 mL/min [rivaroxaban], or CrCl 15 to 50 mL/min [edoxaban]) with an elevated CHA2DS2-VASc score. Clinicians may consider prescribing an oral anticoagulant to reduce thromboembolic stroke risk for patients with AF (except those with moderate to severe mitral stenosis or a mechanical heart valve) and a CHA2DS2-VASc score of 1 in men and 2 in women. The direct thrombin inhibitor dabigatran or the factor Xa inhibitors rivaroxaban or edoxaban are not recommended for patients with AF and end-stake CKD or dialysis due to the lack of evidence that the benefits exceed risks. Dabigatran should not be used for patients with AF who have a mechanical heart valve. For patients with AF and a mechanical heart valve undergoing procedures that require the interruption of warfarin, bridging therapy with unfractionated heparin or low-molecular-weight heparin is recommended. Clinicians should balance the risks of stroke and bleeding in making decisions about bridging therapy. For patients with AF and a mechanical heart valve undergoing procedures that require the interruption of warfarin, clinicians should make decisions on bridging therapy that balance the risks of stroke and bleeding and the duration of time a patient will not be anticoagulated. In the event of life-threatening bleeding or an urgent procedure, idarucizumab is recommended to reverse dabigatran. In the event of life-threatening or uncontrolled bleeding, andexanet alfa can be used for the reversal of rivaroxaban and apixaban. Clinicians may consider percutaneous left atrial appendage (LAA) occlusion for patients with AF with increased risk for stroke who have contraindications for long-term anticoagulation. Clinicians may consider surgical occlusion of the LAA for patients with AF who are undergoing cardiac surgery. This should be considered one component of an overall heart team approach to the management of AF. Anticoagulation with warfarin (INR 2.0 to 3.0), a factor Xa inhibitor, or a direct thrombin inhibitor is recommended for at least 3 weeks before and at least 4 weeks after cardioversion for patients with AF or atrial flutter of 48 hours’ duration or longer or when the duration of AF is unknown, regardless of CHA2DS2-VASc score or the method used to restore sinus rhythm. Anticoagulation should be initiated as soon as possible and be continued for at least 4 weeks after cardioversion unless contraindicated for patients with AF or atrial flutter of >48 hours’ duration or unknown duration that requires immediate cardioversion for hemodynamic instability. The decision about long-term anticoagulation therapy should be based on the patient’s thromboembolic risk profile and bleeding risk profile after cardioversion for AF of any duration. Treatment with heparin, a factor Xa inhibitor, or a direct thrombin inhibitor is reasonable as soon as possible before cardioversion followed by long-term anticoagulation therapy for patients with AF or atrial flutter <48 hours’ duration with a CHA2DS2-VASc score of ≥2 in men or ≥3 in women. Performing transesophageal echocardiography before cardioversion is reasonable for patients with AF or atrial flutter of 48 hours’ duration or longer or of unknown duration who have not been anticoagulated for the preceding 3 weeks. If no left atrial thrombus is identified, including in the LAA, clinicians can proceed with cardioversion provided that anticoagulation is achieved before transesophageal echocardiography and maintained after cardioversion for at least 4 weeks. Administration of heparin, a factor Xa inhibitor, or a direct thrombin inhibitor may be considered before cardioversion without the need for postcardioversion oral anticoagulation for patients with AF or atrial flutter of <48 hours’ duration with a CHA2DS2-VASc score of 0 in men or 1 in women. For certain patients with symptomatic AF and heart failure (HF) with reduced left ventricular (LV) ejection fraction (HFrEF), AF catheter ablation may be reasonable to potentially lower mortality rate and reduce hospitalization rate for HF. Anticoagulation is recommended for patients with ACS and AF at increased risk for systemic thromboembolism (CHA2DS2-VASc score ≥2), unless the bleeding risk exceeds expected benefits. For patients with hemodynamic compromise, ongoing ischemia, or inadequate rate control, urgent direct-current cardioversion of new-onset AF in ACS is recommended. o slow rapid ventricular response to AF among patients with ACS who do not display HF, hemodynamic instability, or bronchospasm, intravenous beta blockers are recommended. If clinicians prescribe triple therapy (oral anticoagulant, aspirin, and P2Y12 inhibitor) for patients with AF at increased risk for stroke (CHA2DS2-VASc score ≥2) who have undergone percutaneous coronary intervention (PCI) with stenting for ACS, clinicians should prescribe clopidogrel over prasugrel. Double therapy with a P2Y12 inhibitor (clopidogrel or ticagrelor) and dose-adjusted vitamin K antagonist can reduce the risk for bleeding compared with triple therapy for patients with AF at increased risk for stroke (CHA2DS2-VASc score ≥2) who have undergone PCI with stenting for ACS. Double therapy with a P2Y12 inhibitor (clopidogrel) and low-dose rivaroxaban 15 mg daily can reduce the risk for bleeding compared with triple therapy for patients with AF at increased risk for stroke (CHA2DS2-VASc score ≥2) who have undergone PCI with stenting for ACS. Double therapy with a P2Y12 inhibitor (clopidogrel) and dabigatran 150 mg twice daily can reduce the risk for bleeding compared with triple therapy for patients with AF at increased risk for stroke (CHA2DS2-VASc score ≥2) who have undergone PCI with stenting for ACS. If patients with AF who are at an increased risk for stroke (CHA2DS2-VASc score ≥2) and who have undergone PCI with stenting (drug eluting or bare metal) for ACS are prescribed triple therapy (oral anticoagulant, aspirin, and P2Y12 inhibitor), clinicians may consider transition to double therapy (oral anticoagulant and P2Y12 inhibitor) at 4 to 6 weeks. Clinicians may consider administering amiodarone or digoxin to slow a rapid ventricular response in patients with ACS and AF associated with severe LV dysfunction and HF or hemodynamic instability. Clinicians may consider administering nondihydropyridine calcium antagonists to slow a rapid ventricular response in patients with ACS and AF only in the absence of significant HF or hemodynamic instability. The presence of recorded atrial high-rate episodes (AHREs) should prompt further evaluation by clinicians in order to document clinically relevant AF to guide treatment decisions for patients with cardiac implantable electronic devices (pacemakers or implanted cardioverter-defibrillators). Implantation of a cardiac monitor (loop recorder) is reasonable to optimize detection of silent AF in patients with cryptogenic stroke for whom external ambulatory monitoring is inconclusive. Weight loss, combined with risk factor modification, is recommended for overweight and obese patients with AF.